Night guards...Bite guards-which is the ‘right’ guard? With more appliances flooding the market & trade magazines every day, how do we know which is the best for our patients? Which patients actually need this therapy? How do we keep out of trouble and what do we need to look out for in orthotic therapy? In this webinar, we will discuss “Intention Based Orthotic Therapy” that will allow practitioners to progress through a logical sequence of treatment decisions, appliance selection and follow up care. School of Dentistry. He and his wife, Dr Jeanine McDonald practice general dentistry in Spokane, Washington with an emphasis on comprehensive and restorative care. Dr. Melkers balances his time between private practice, teaching research and publishing. Dr. Melkers has presented and been published around the world on occlusion topics, communication and restorative dentistry applicable to the everyday and someday practice. 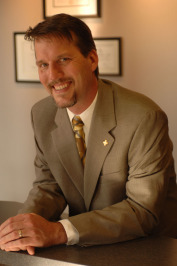 Dr. Melkers is the founder of the Nuts & Bolts Occlusion programs and is Past Director of Occlusion & Aesthetic Dentistry at the Pacific Northwest AEGD Residency Program. Dr. Melkers is a mentor for The Pankey Institute & Visiting Faculty at The Spear Institute. Dr. Melkers enjoys sharing real world challenges as well as solutions in his interactive learning experiences.